Volume 5, Edition 3 Trouble loading? View this email online. 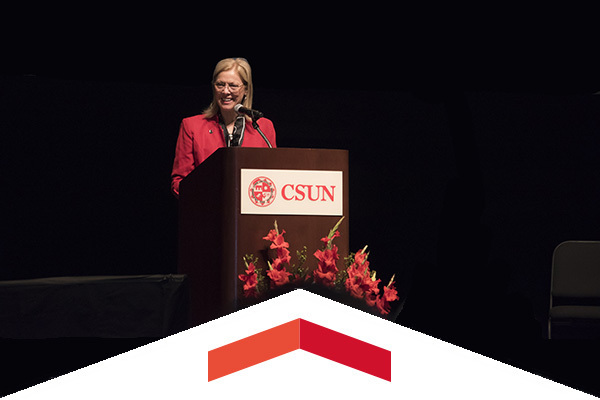 CSUN President Dianne F. Harrison highlighted the numerous accomplishments of the university’s faculty, students and staff in her annual Welcome Address to the university Aug. 24 and presented the opportunities and challenges of the new academic year. 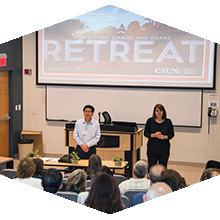 Speaking to more than 100 university leaders, President Dianne F. Harrison and Provost Yi Li outlined strategies for helping more students graduate in a timely manner. Thur, Aug. 31, 7:30 p.m.
Last chance to see a movie on the Oviatt Lawn for this year's AS Summer Movie Fest series. It’s Marvel’s Doctor Strange, a former neurosurgeon who embarks on a journey of healing only to be drawn into the world of the mystic arts. The Matadors open their home schedule by co-hosting a tournament with Pepperdine. CSUN hosts Weber State at 7 p.m. on Aug. 31, Pepperdine at 7 p.m. on Sept. 1 and Northeastern at 1 p.m. on Sept. 2. Northeastern and Weber State will also play a tournament match in The Matadome on Sept. 1. Cheech returns to his old CSUN stomping grounds and brings some of the young guns of comedy with him to The Soraya for the third-annual CSUN Alumni Performance. Input the code CHEECH to buy $28 tickets. Here is a list of dates students need to know this semester. The Office of Student Involvement and Development welcomed 6,000 students who toured the campus and learned about the resources available to make their college careers a success. Through Sept. 1, you can nominate the men, women and Matador teams that have distinguished themselves in athletics, either as undergraduates or after leaving the university. Click to view the nomination form. Here’s your chance to network with Engineering alumni and staff and be a valuable mentor to upcoming graduates in a relaxed environment. This free event, which is from noon to 4 p.m., will take place in the dorm housing pool area. 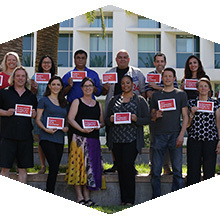 Have you liked the CSUN Alumni Facebook page? Visit us now for the latest news, giveaways and alumni discounts and services. Participate in our contest today and win some CSUN swag.